with more ease, and it is this that fascinates me. My hope is that these images will somehow capture this phenomenon when the body and mind are in perfect balance, for when this happens, the spirit begins to soar’. 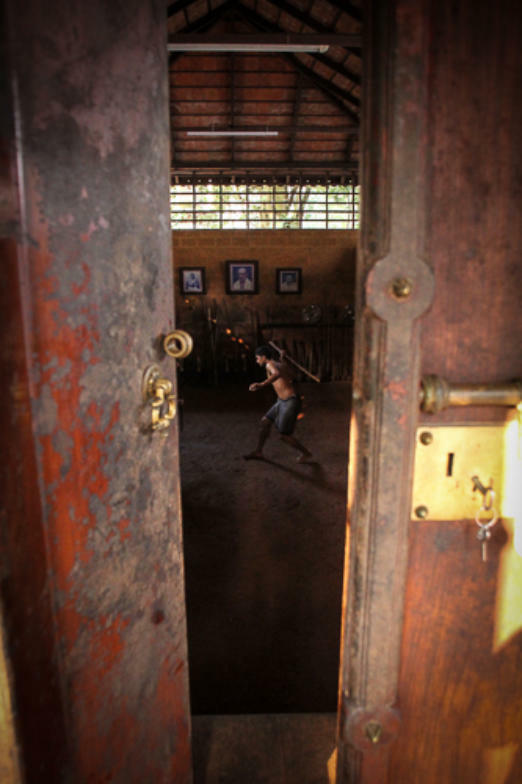 Kalaripayattu is known as the mother of all martial arts and can be traced as far back as 3,000 years. It is still studied in a traditional Training pit dug into the ground, to harness energy and power from the earth. The floor is made of clay and is moistened before each session so that it is soft and cold to the touch. In the Kalarripayattu temple all casts and religions in India come together under one roof and are equal. As they all disrobe to dress in the ancient tradition dress of a langot they also take off any social divisions. Based on the majestic animals (Lion, Tiger, Elephant, Wild Boar, Snake, and Crocodile) it was originally designed to protect wandering monk from the attacking wild animals in ancient times. 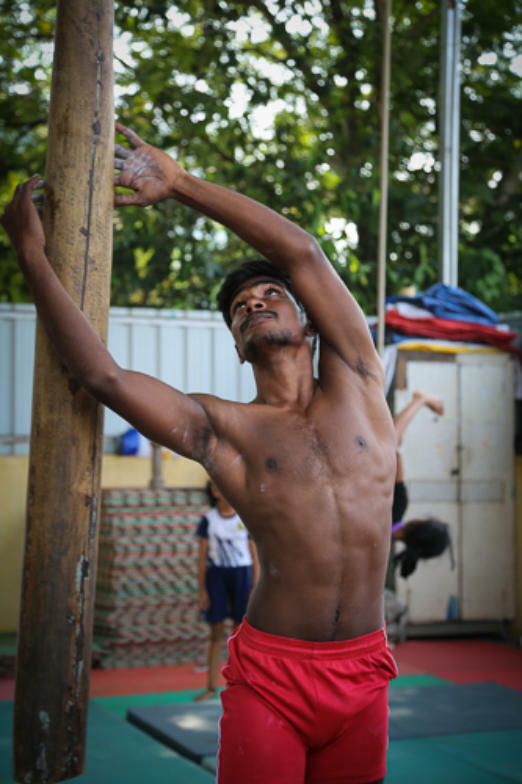 Kalaripayattu is a deep practice where the whole self is trained – the emotions, body and mind, and it is very much a lifelong process of holistic self discovery. 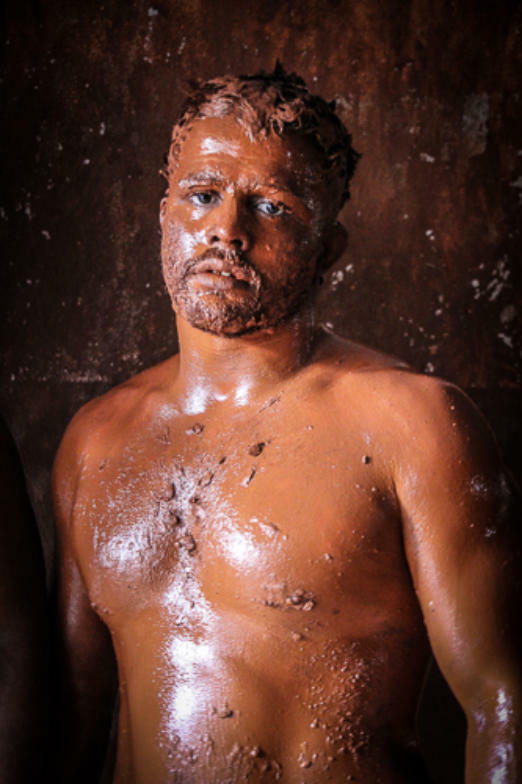 The ancient and regal art of Kushti wrestling was originally established centuries ago in Persia, the golden age of this sport in India began in the late 19th century, when contests where held and invited competitors from across India. Men and boys (from the age of six) dedicate their lives to what is not so much a sport, but more of a spiritual discipline. 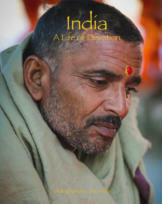 They live, eat, train and sleep in rustic temple buildings called akharas. At 4.30am the vigorous training begins and continues throughout the day. Training 365 days a year, even in the summer when sweltering temperatures reach 40° Celsius, their lives are drenched in discipline. Before every match, each wrestler covers the body of his adversary with this earth which acts both as a lubricant and cooling agent. 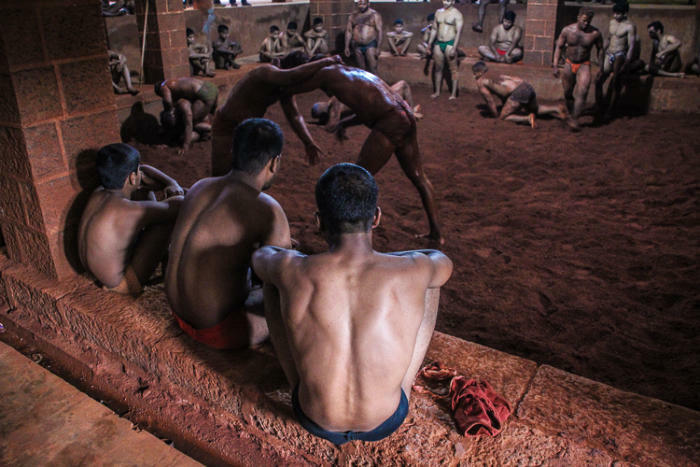 The wrestlers are held in great esteem and seen by traditional Indian society as modern day regal heroes. 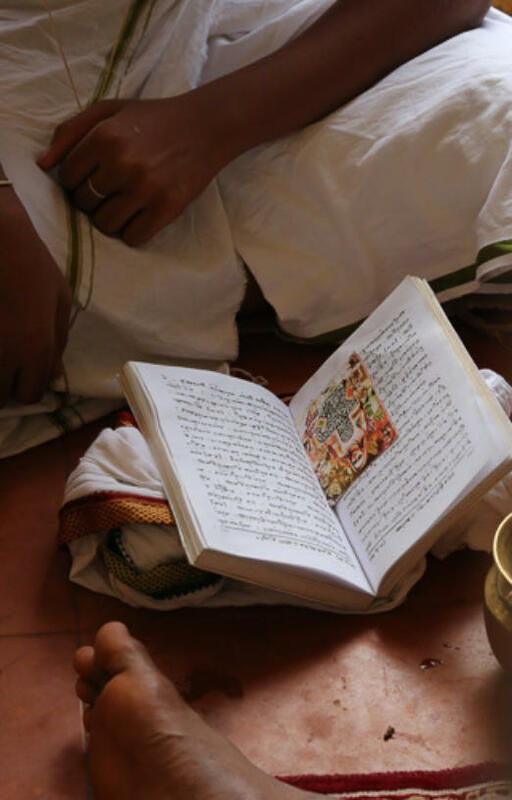 The Veda Patasala is a school dedicated to the skilful and holy art of chanting the Veda’s, a large body of Hindu scriptures originating from ancient India. 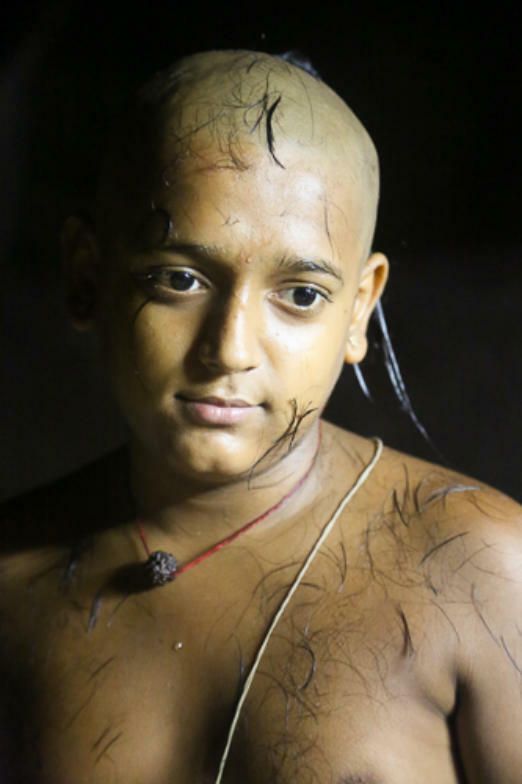 Boys enter the school as young as six giving up their possessions and shedding their hair except for a lock at the crown which is never cut called the shikha. 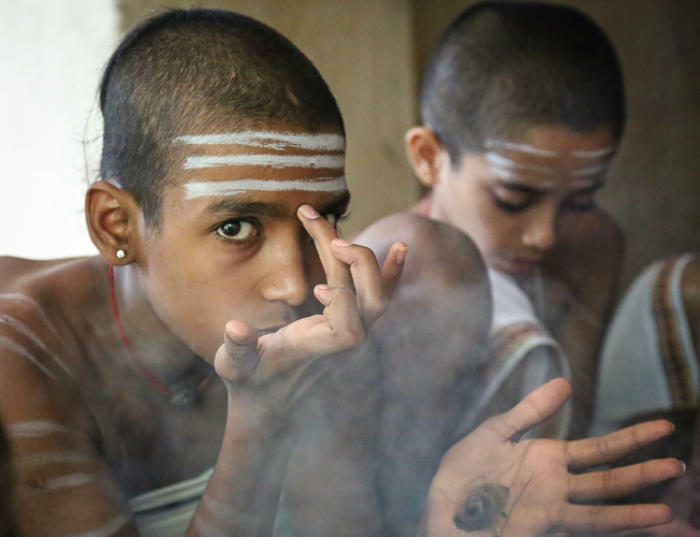 Students, known as Pundits, perform rituals throughout the day including adoring their bodies with 3 stripes of white ash that represents Shiva’s threefold power of will, knowledge, and action. 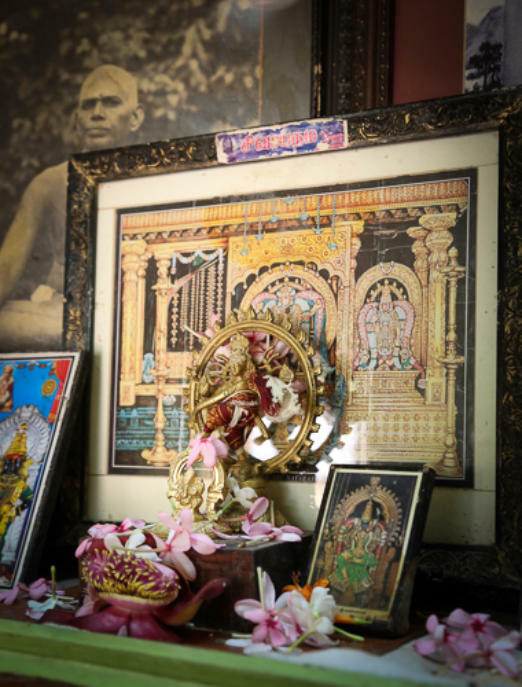 Puja, the Hindu offering of light, flowers, and water or food to the divine is very much part of everyday life. 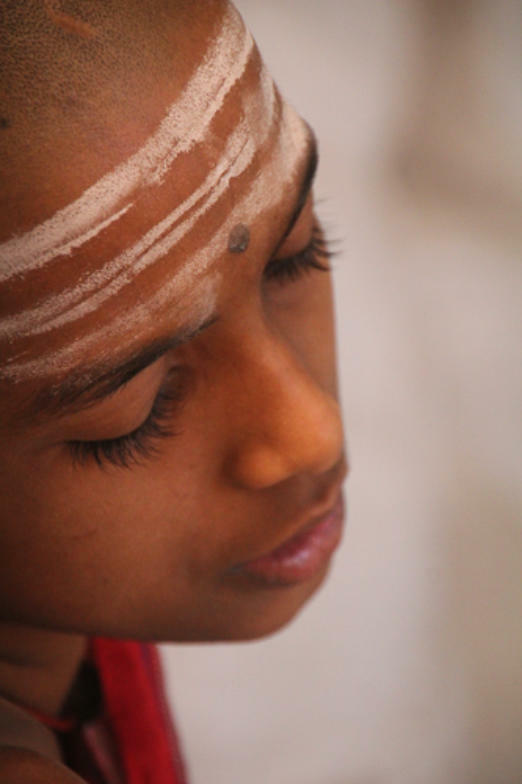 The Veda Patasala is both their school and their home. Families are visited only once a year. These boys have given their life to this art. Living a very simple life without possessions, studying the scripture seven days a week. It is believed by intently listening to the holy sounds of the Vedas, the mind can be purified and reach a profound level of consciousness. 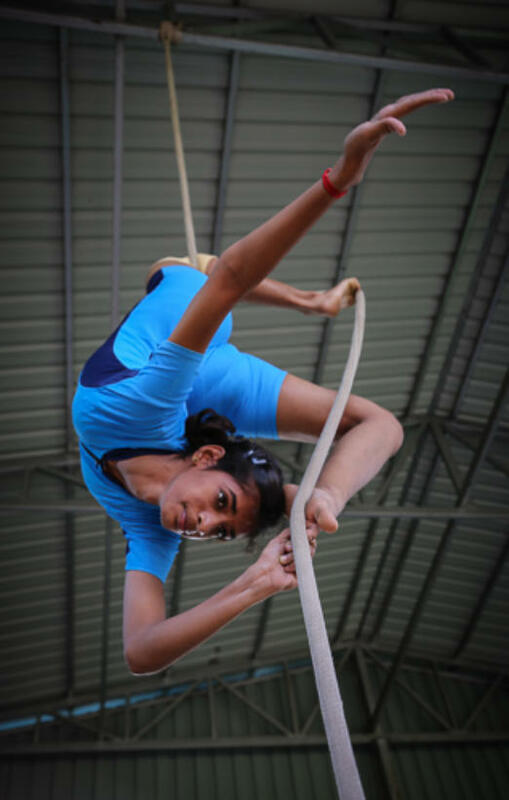 Mallakhamb is a sport mostly unknown outside of India and can be traced back to 12th-century Sanskrit texts. The name Mallakhamb derives from the terms malla meaning wrestler, and khamb which means a pole. 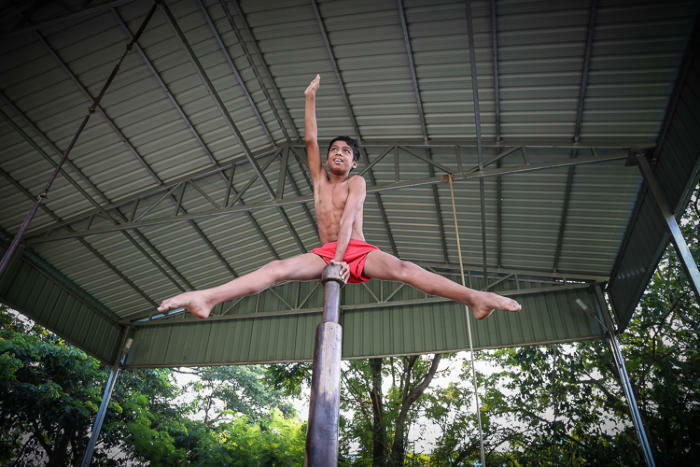 Literally meaning "wrestling pole", the sport consists of a mix of wrestling holds and yoga moves performed on a vertical stationary or hanging wooden pole, cane, or hanging rope. It is considered to be a perfect exercise because it involves various poses and postures of yoga developing all the physical and mental faculties of the human body. The benefits of this training are said to be innumerable. The precision and timing has to be perfect and demands daily training; if it is off the mark it could result in a fall from a height, leading to certain injury, possibly serious. 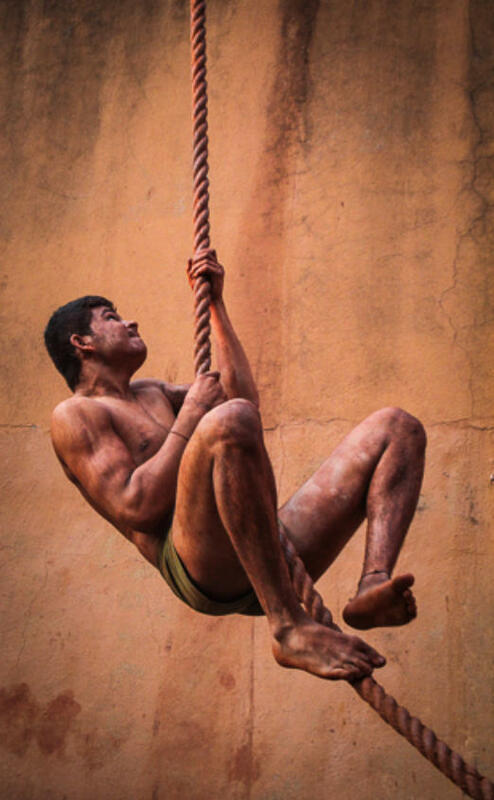 These acrobatic feats requires fearless confidence and great concentration, yet a relaxed and supple form. The origins of Mallakhamb are based in legend. It is said that in ancient times, a young wrestler in deep meditation saw a vision of Lord Hanuman, a monkey faced Hindu deity, performing moves on a wooden pole. It truly is a display of mastery over both the body and the mind in order to achieve perfect control and balance.